Merdeka Quiz: Are You A True Malaysian? So how? Read secondary school History textbooks? Not to worry! 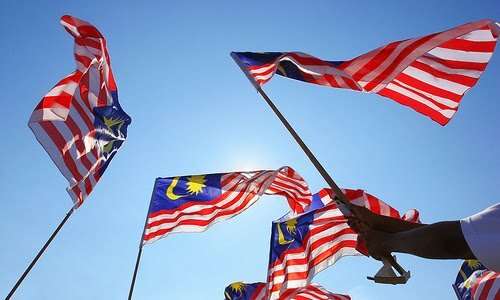 For the first time on kenwooi.com, I present you the “Are You A True Malaysian?” quiz! This quiz can determine whether you’re a true Malaysian, or just an average Malaysian whom will be required to undergo National Service for 1 year. It consists on historical facts and some general knowledge about Malaysia. 1) Thou shall answer all questions. 2) Thou shall not Google for answers. 3) Thou shall uphold the spirit of 1Malaysia. 4) Thou shall hold a Jalur Gemilang. 5) Thou shall sing Negaraku. 80-100 – Definitely not a Malaysian. You are a professor from US or UK. 60-79 – Not a Malaysian also. How can you score that well? 40-59 – Just an average Malaysian. You know too much. Okay, that’s all for now. If you’re wondering whether your friends are a true Malaysian or not, feel free to share this quiz with them! At the meantime, have fun during this Merdeka Raya festivity! Take care, and stay tuned alright? 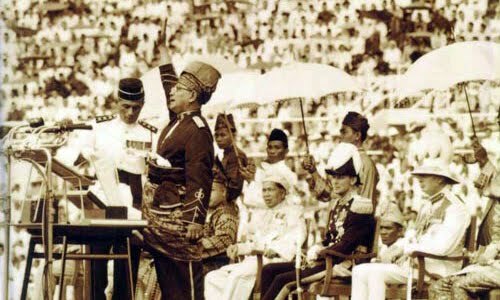 Happy 54th Merdeka Day, Malaysia! 55% wor. LOL. The last question is the epic one! last question is kind of grab balls LOL! wow the last question is 50/50 now . . . and of course I am 25% hahaha! 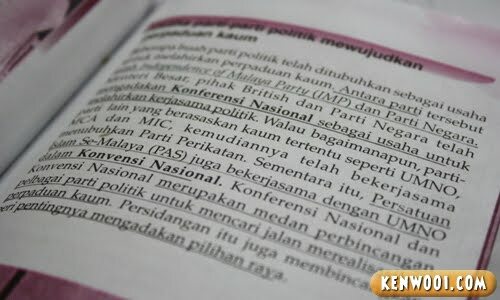 I’m not a true Malaysian =( Either that or I’m just really good at Sejarah. which isn’t good either. to be fair though, the last question was pretty impossible to answer. LOL…alamak…am not a Malaysian…am without a country…sobs…..
45%. damnit, just missed the true malaysian mark by 1 question. So Sad… I scored 85% (17 out of 20). But I’m just a housewife! i got 75%. but it shud have been higher. i screwed up the last question. very tricky. Professor from US or UK here, I demand my Malaysian citizenship be reinstated. By the way, Malaysia has 13 states and 3 Federal Territories but the correct answer in the quiz is “14 States” ? Who is Malaysian most famous blogger: Kenwooi. Who’s kenwooi? History phobia.. so i dare not open.. hahhaa..
Aiyaaaa. 70% lar. Not a Malaysian also T.T Sigh. 70 only?? i think because i answer wrong for the last question.huh..
ooo, selamat hari merdeka bro. 65% think the last one minus minus lots of marks when Bananaz did not tick the top answer. haiz..lolz tQ. I got 70% also. But, 14 states in Malaysia? not 13 huh? oh no..I always score very well in Sejarah. I think I’ve got like 96% for SPM 12 years ago! haha..I’m not a Malaysian then..Well maybe that’s why I choose to leave somewhere else for now! The correct answer for number of states in Malaysia should be 13, and not 14. Federal territories are not considered as states.